Join us for a free Body & Brain Yoga and Tai Chi class open to all ages. Wear comfortable clothing and please bring a towel or mat. Bumblebee makes a new friend and must protect her from the Decepticons that are threatening the Earth. The film is rated PG-13. Practice speaking English in a small group. Learn new vocabulary and improve your pronunciation. No registration required. Just stop by! The first Saturday of the month at 4:00 p.m.
Come and sign up to use the computer to do your homework. Free printouts for kids and teens at the Student Zone Homework Center. 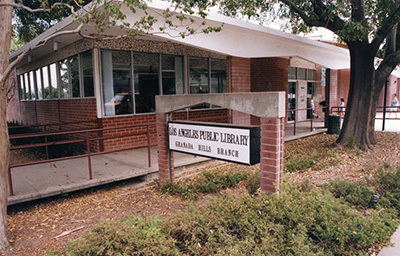 Granada Hills is located in the Twelfth District, represented by Councilmember Mitchell Englander.